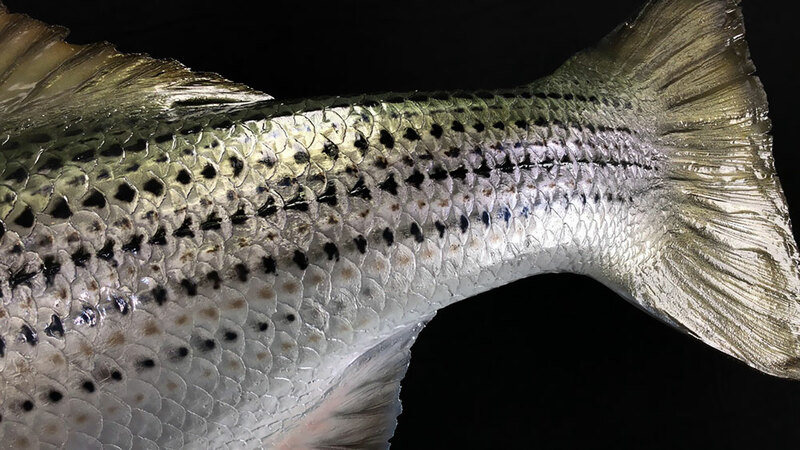 Striped bass, often called Stripers, can live in both salt and fresh water. 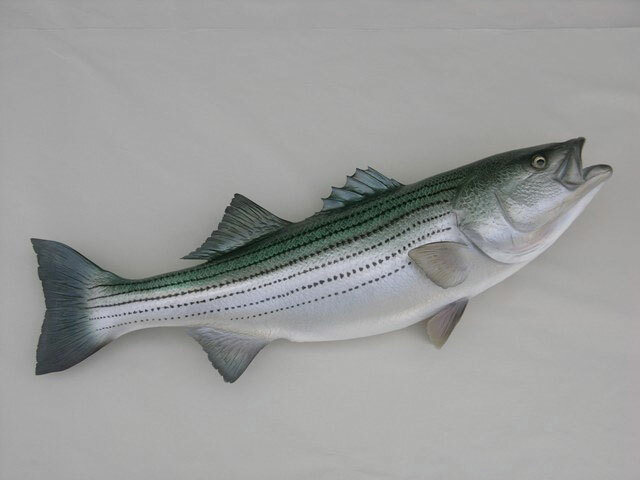 After spawning in freshwater rivers, they will spend most of their lives in the ocean near the coast. 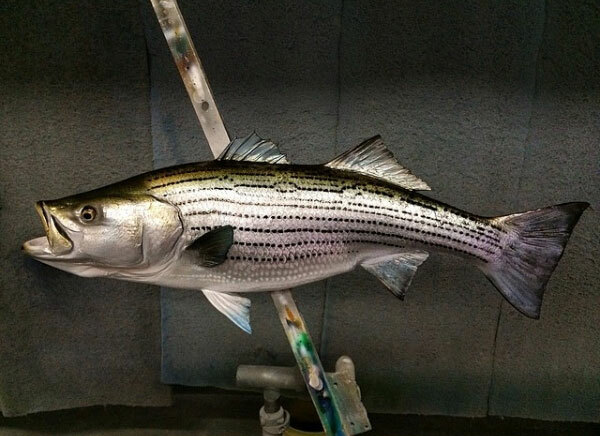 They prefer water temperatures from 55° to 65° and actually migrate each year to remain in the colder water. 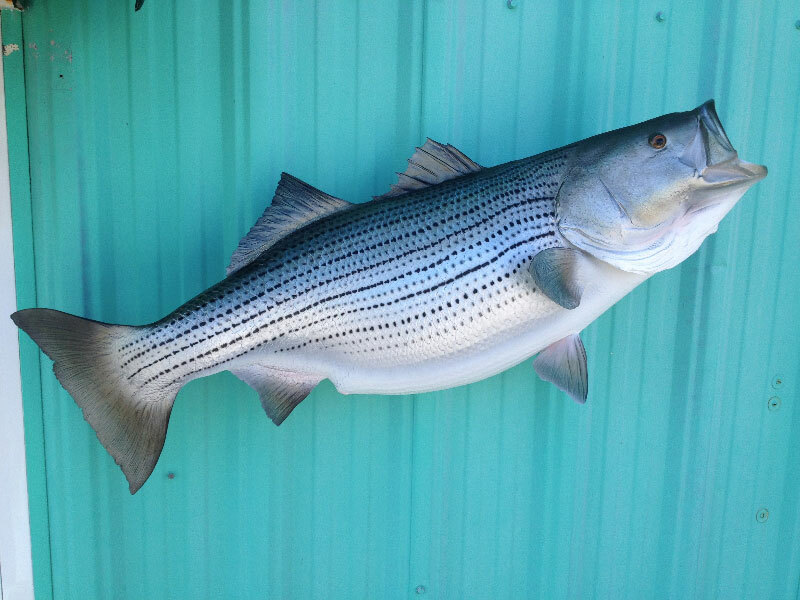 Striped bass are grown in many aquaculture operations in the United States. More than half of all these fish that are sold are actually grown. 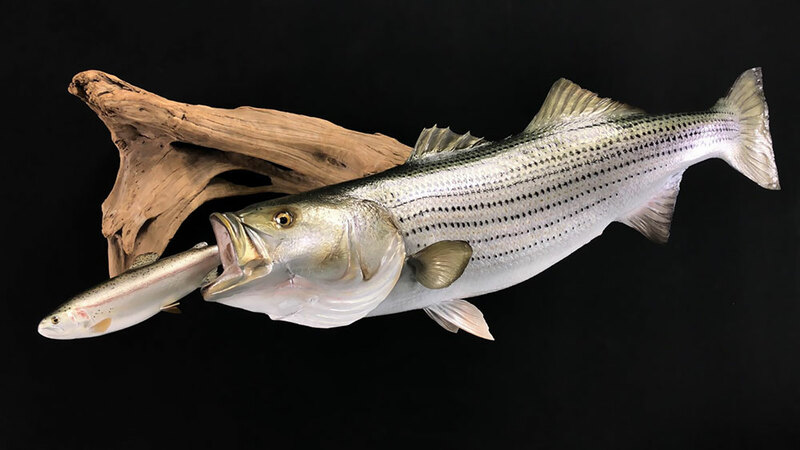 If you have any questions about our Striped Bass mounts please don’t hesitate to reach out to us during our business hours listed at the bottom of the page. They are the state fish of Maryland, Rhode Island, and South Carolina and the official saltwater fish of New York, New Jersey, and New Hampshire. 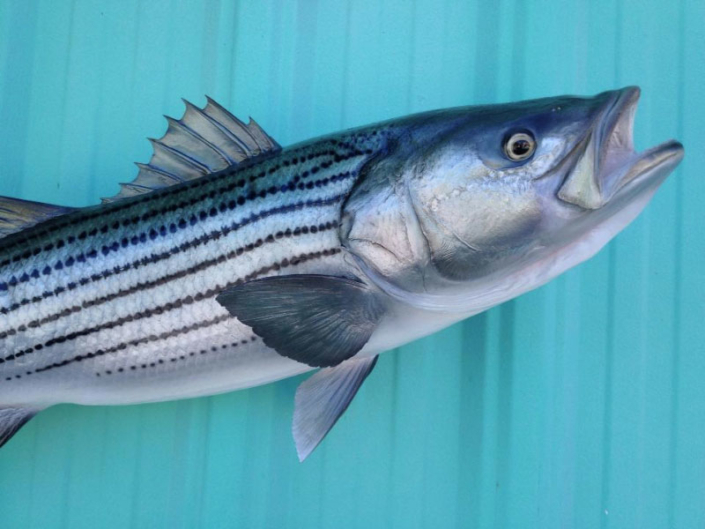 They have many aliases: Atlantic striped bass, striper, linesider, rock or rockfish. 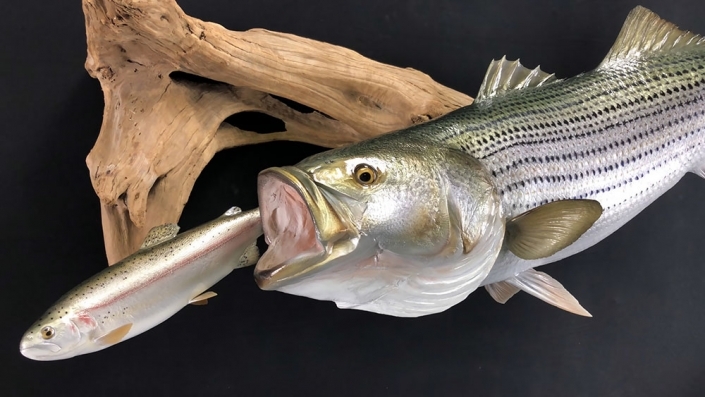 The world record was 81 pounds 12 ounces. They have been known to live 30 years with the oldest recorded being 31 years of age. They swim fast and with great control in turbulent water. 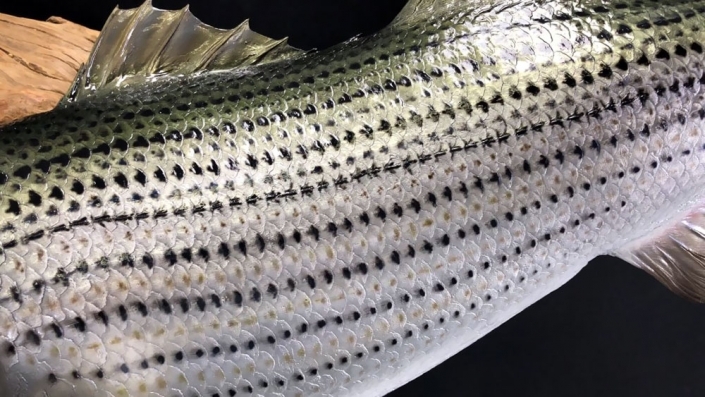 Any prey caught in these turbulent waters are an easy snack for a striped bass in the area. 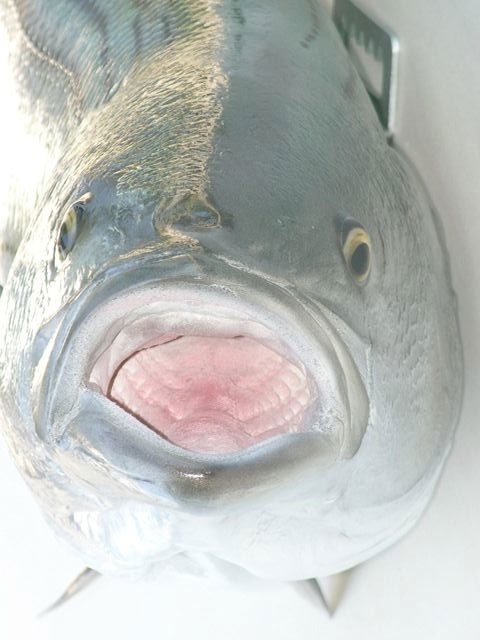 Fill out the form below and if possible include a picture of your fish. If you have any specific details or any questions at all please contact us during our regular business hours listed below.